A comparator test kit that can be used to measure chlorine in system waters. 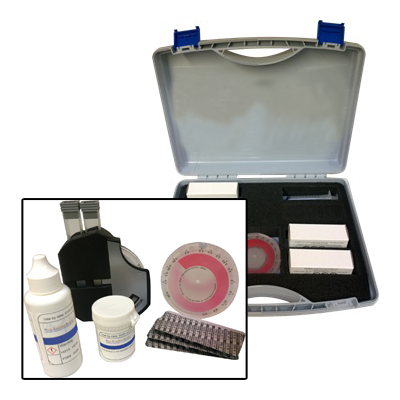 The 0-300ppm test kit is ideal for measuring chlorine when carrying out disinfections. Note this kit will only measure free chlorine.